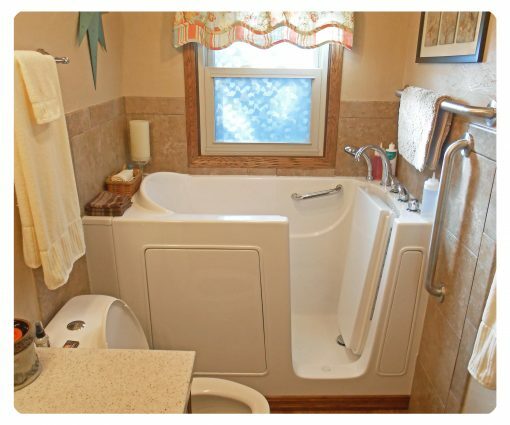 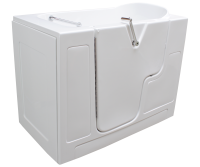 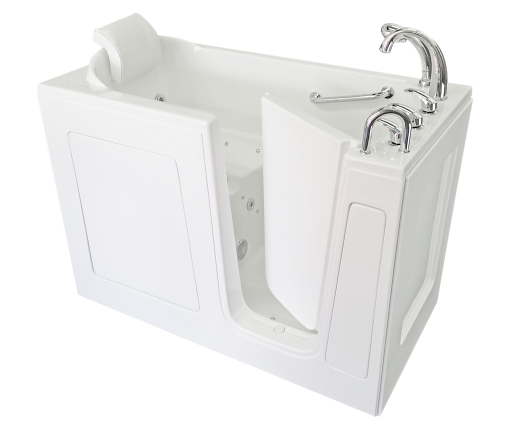 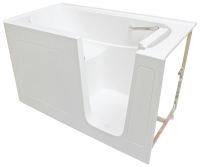 The Bliss Tubs Model B3052 is a roomy walk-in tub that fits in a compact bathroom which is too tight for installation of the B3054. 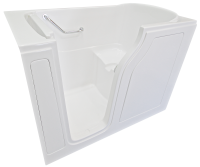 For ease in installation, the B3052 has a turning radius of less than sixty inches. 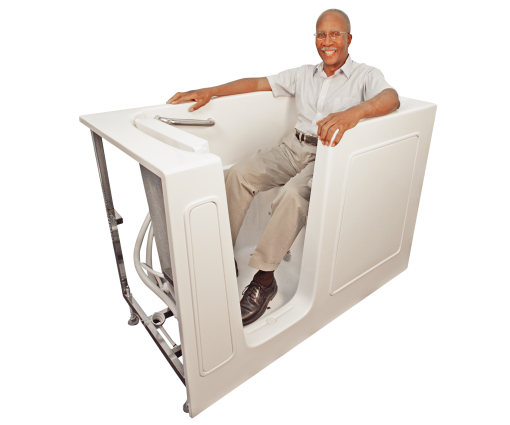 Another advantage of the B3052 is its 40 inch height; this model provides two inches more of upper body immersion compared with the B3054. 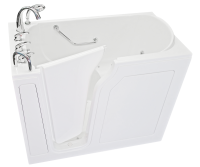 This model comes with an eight-inch wide extension kit which can fill in a 60 inch space or cut to tailor the fit to less than 60 inches.